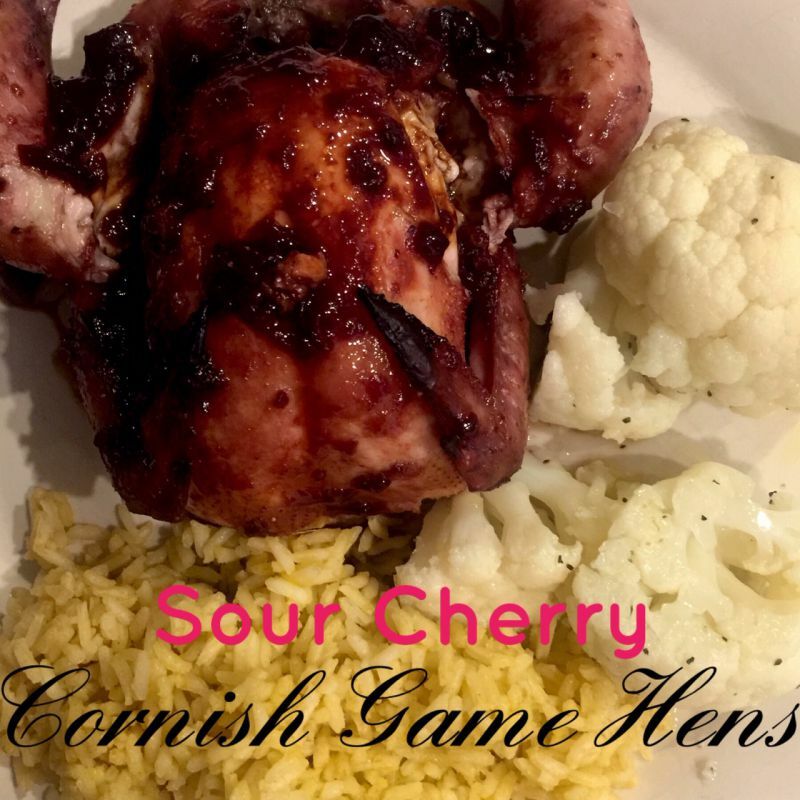 I was always afraid to make Cornish game hens at home. They looked intimidating for some reason. We never ate them in our family, so I always had them out. I love the presentation they made, they were so juicy and came with your own serving, so it makes a beautiful presentation. The other day I saw that a good friend of mine, Chef Debbie (Deb’s Kitchen) posted a picture of them on her Instagram site. I was so excited to call her and ask for a few tips on how to prepare them. She said to just add a marmalade or fruit preserve and bake. I ran out to my local store and found two in one package, perfect for my husband and me. Check your freezer department if fresh is not an option. After washing and cleaning the birds, pat dry with a paper towel. Use a instant meat thermometer, ready at 16-154 degrees. Cover and let rest for 15 minutes. 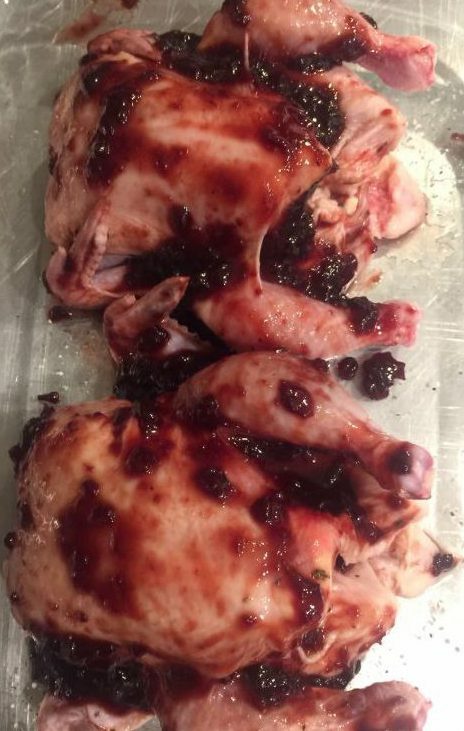 After cleaning the birds, place in a baking dish and spoon on the preserves. You can use many other flavors such as try fig, peach, apricot or any other fruit preserve. 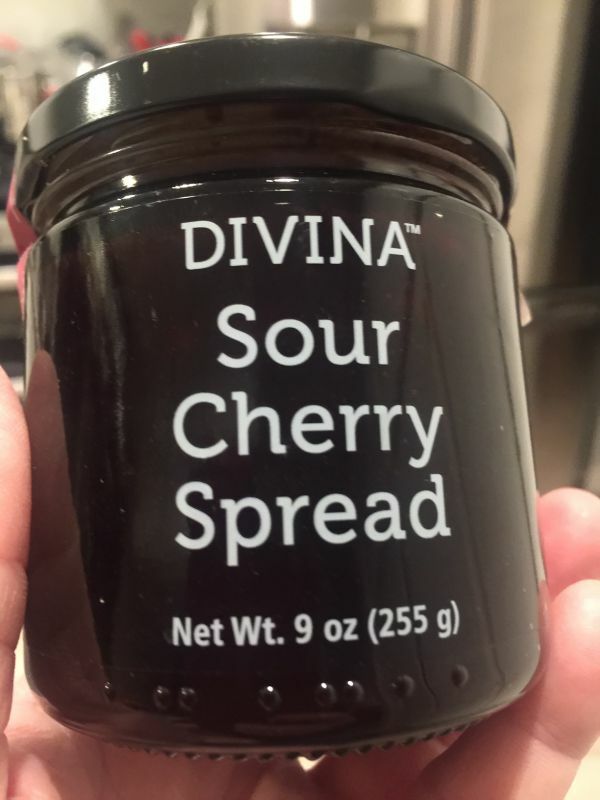 This jar came from my local grocery store, or can be purchased online from Foodmatch, Divina Specialties. This happens to be such an easy recipe it doesn't need a recipe. Select any preserve you love, and eat a beautiful dish in no time! 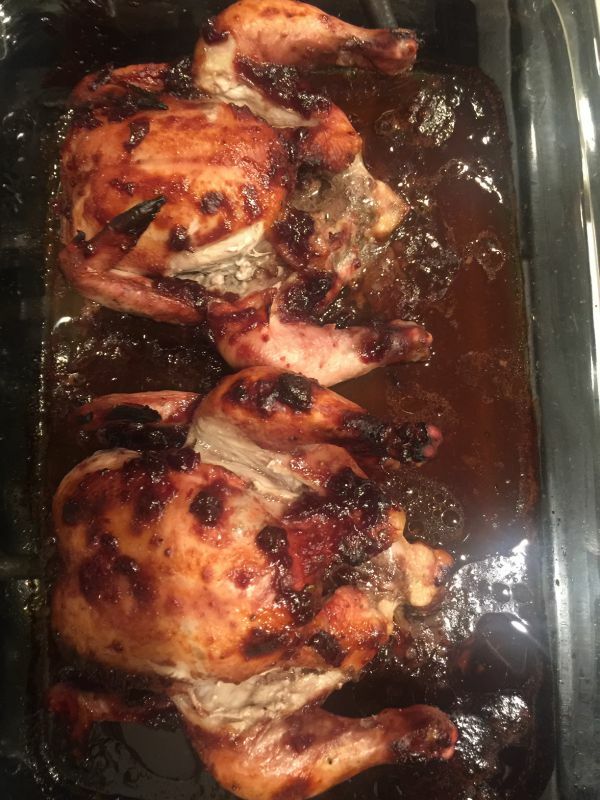 Wash and clean Cornish game hens. Pat both dry with a paper towel. Place in a baking dish. Cut one lemon in fourths and stuff 1/4 wedge inside each of the birds. Add your fresh sprigs of thyme inside the birds. Squeeze the remaining lemon wedges over birds. Sprinkle birds with salt and pepper. Spoon the preserve over both birds. You may want to keep some aside , for a topping. Place in a preheated 350 degree oven, for 40-50- minutes until the juice runs clear, or it reaches 160-165 degree internal temperature. Check the oven towards the end of the baking time, and cover the dish if necessary. Remove from the oven and let it rest for 10-15 minutes. Serve with your choice of vegetables or grain. Remove from the oven , and let rest for 10-15 minutes. It makes a beautiful presentation. 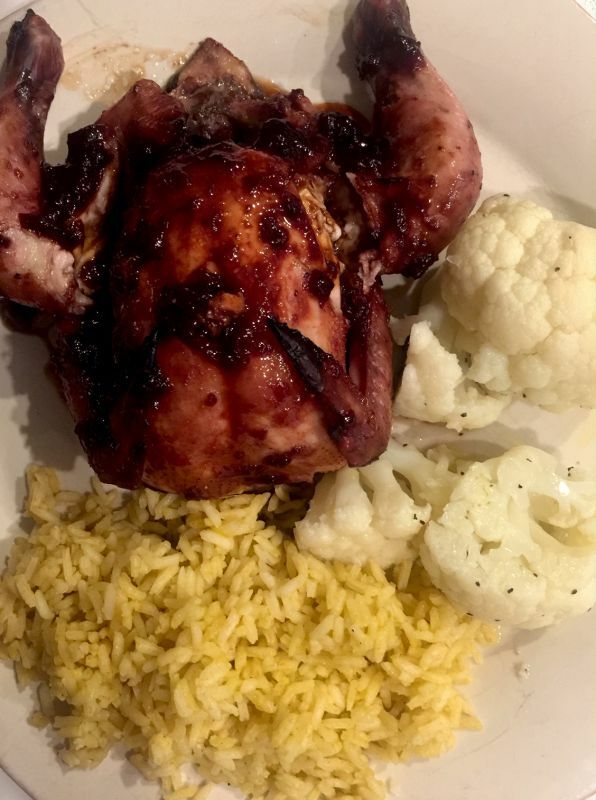 I served my Cornish game hens with Basmati Rice and Cauliflower. It can’t get easier than that! I can’t wait to try other preserves and maybe even strawberry in the summertime! © 2019, Mary Papoulias-Platis. All rights reserved.